Despite another great outing from lefty MacKenzie Gore, the offense could only strike twice. Robbie Podosrky collected a pair of hits and walked in the loss. Tirso Ornelas collected a pair of hits and walked twice for Lake Elsinore in the loss. Gabriel Arias and the Storm tallied five runs while great pitching backed a 5-3 win on Sunday. Beautiful weather, a capacity crowd and a strong bullpen were a winning recipe for a victory in Lake Elsinore. Tirso Ornelas and the offense combined for eight runs off 10 hits on the way to an 8-2 win. MacKenzie Gore picks up his second win of the season in Storm home opener. MacKenzie Gore (left) and Luis Patino (right) highlight a prospect-heavy roster. 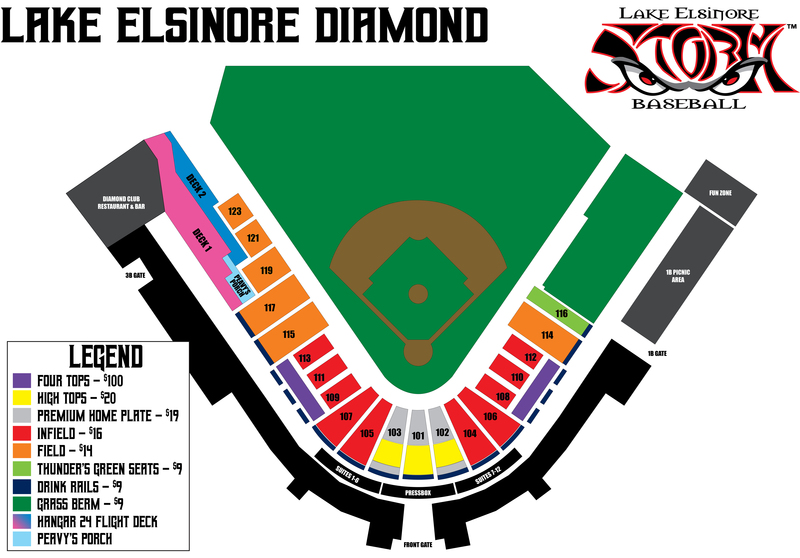 Join the Lake Elsinore Storm at City Park in downtown Lake Elsinore for Party in the Park and find out which identity the Storm will sport for ten home games this season. Come out to Storm Stadium on March 24 for the 13th annual Sip N' Swing Pre-Season Party and take batting practice on the field! Ken Fogel brings 24 years of Minor League Baseball experience with him to the Storm.